Small new loft of 40m2 with a side bedroom with a double bed 160X200 and the other side a kitchen and living room with a sofa bed 2 places. The bathroom and the toilets are in the center of the Loft. The terrace is equipped with an outdoor lounge and barbecue. The garden of 200 m2 is closed and children can play safely. The cottage is completely independent and located on a small square closed. Parking is very convenient. 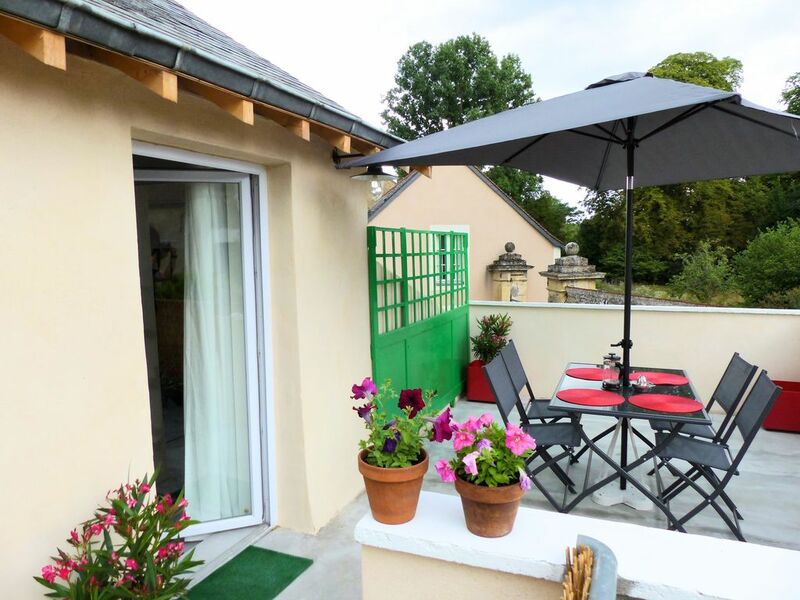 The cottage is in the city center near the Loir and the municipal camping ****. It is a quiet and charming area very popular with the Fléchois. It is also a place for fishermen. the USF Kayak canoe is 100 m. The cottage is located 5 minutes walk from shops, the market, Prytanée Military and bars restaurants. You can walk along the banks of the Loir at the Monnerie leisure center (bathing lake bordered by a supervised sandy beach and a fishing lake). The zoo is 2.9 km away (can be reached by bicycle from the bike paths from the cottage) or 7 minutes by car. The cottage is non-smoking. Pets allowed only on request.